Your saying Awwwww....right now hunh!! 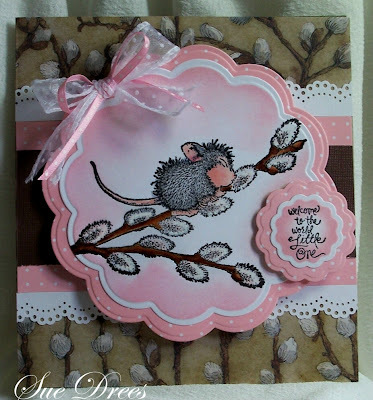 Well this post is to remind you that the House Mouse and Friends Monday Challenge is at the midway point this Monday, you still have time to ink up a House Mouse, Gruffie or Happy Hopper card/project with this month's theme, Sugar and Spice and Everything Nice. 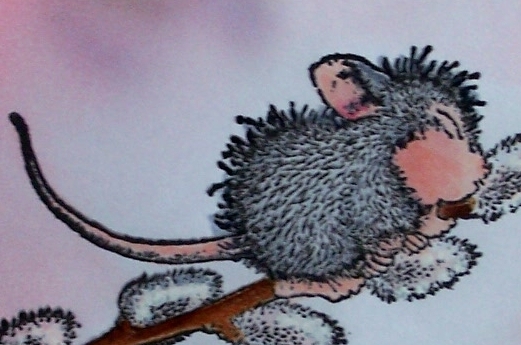 This is the March 2012 House Mouse Stamp of the Month! (Cuddlebug Monica HMOR1139) I know I used this same background paper (Tim Coffey, K & Company) last week on a card, but then I got this stamp and just had to use it again. Other stuff I used on the card is pretty basic, so won't go into detail. has some awesome inspiration on the blog. So come on, ink up those stamps and join us!! You have until Sunday, March 11 at midnight EST. Oh Sue! This is adorable. I love this new stamp and she's incredibly sweet in pink. gorgeous image and card sue. Sue!! This is so stunning my dear!! I just love your willow background and sweet image!! Wonderful job hun!! Gorgeous work. Love the matching DP and the rich coloring of this super adorable image. Yep Sue I did say awwww..lol totally adorable love the matching DP beautiful girly creation..
Oh Sue, this new stamp is so adorable. Together with the dp with the willow and pink it looks gorgeous. 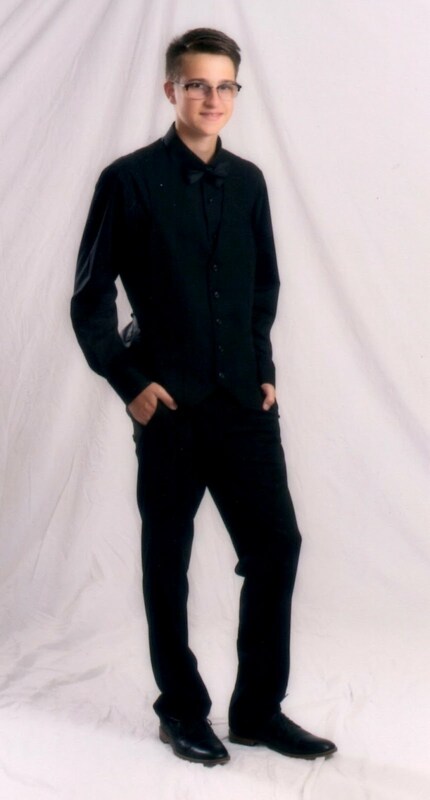 Sue, this is just precious. I HAVE to get that stamp. It's so soft ad sweet. I love everything about your card, image, paper, punches. A total winner. that paper is worth using again and again. Have a good night. I've been working on a card for HM this morning and hope to finish it by tomorrow. the background paper machted perfectly with your image. Wow, this card is such an ace. Love this combination of designpapers and image. Очень понравилась Ваша открыточка, она изумительная!! !